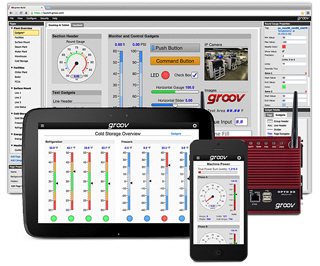 groov makes it possible to build HMI displays on any smart device. That includes Smart phones, Tablets, Industrial PCs with Touch, Panel PC, even Smart HMI TVs. And he is the beauty of groov, it can connect o almost all PLCs, PACs on the market, including the most popular, Rockwell - Allen Bradley, Modbus, Siemens, ABB, Yokogawa and GE systems. You can buy a groov box as a server or use a PC to build the groov server. groov is auto scaling for the size of the LCD panel used. You also only place on tha t display the section you want that operator to see and control. Build time is very quick and easyy. Please visit the groov site for full details. 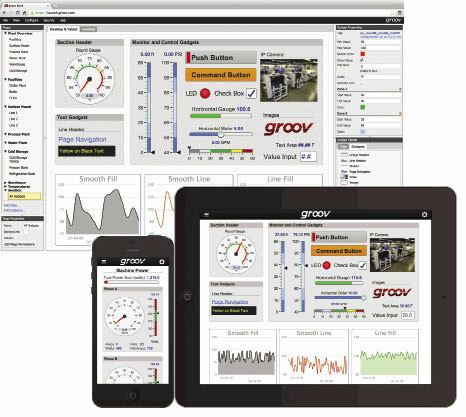 This does mean you can display and control your control systems using groov. Don't get stuck buying expensive displays when you can use groov on any of your current handhelds and using Smart Low cost HDMI TVs directly as your HMI for your new system. 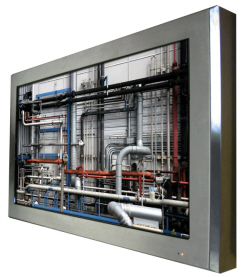 MasTec Ltd is able to supply a large range of LCD Displays. 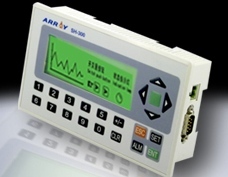 Most Text and Small Pixel Touch displays are RS-232, Ethernet or USB connected to allow easy interfacing to PLCs/PACs or Micros. Many of the industrial and marine LCDs are now HDMI connected. Many of the newer large scale LCDs are now coming with HDMI interfaces which allows clusters of panels to be linked to a system. No Doubt the largest driving force for LCD displays is the TV industry which has seen large format panels become available for lower costs. The next step which was a big help, was LED back lighting which reduces the heating on the LCD panels and allows much better contrast ratios. The off shot of the LED back lights is reduced power usage for the same brighness. Super bright LED technology also makes bright sunlight displays possible. Whether you need Class one safe displays or marine grade, industrial, medical grade displays, we have it from some of the best developers int he market today. Do you need stainless steel for food grade systems, we have them also. Build HMIs on any smart device, phone, tablet, laptop, industrial PC and even smat TVs - all in minutes.This changes the rules on HMI entirely.